Home » Practice Areas » Personal Injury » Who Is Liable? When it comes to settling a personal injury case, the first thing to be determined is who is at fault, or liable for the injury that occurred. Depending on the exact circumstance(s), one or more parties may be liable. The basis of a personal injury claim is to 'allow an injured person to take a claim to the civil court and be compensated for any losses that may have taken place as a result of the injury.' Most times, compensation comes in the form of money; however, this is not always how cases are settled. To understand who is liable for the financial compensation of a personal injury claim, the case must go through the applicable processes. 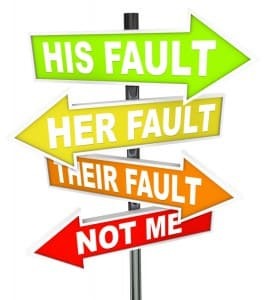 Sometimes, before a final verdict is given in relation to who is liable, a party will admit guilt, offer a settlement, and have the case dismissed before it ever goes to trial. 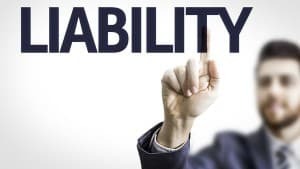 Here's a closer look at how liability is determined in a personal injury case. When a person files a personal injury claim, the case is usually brought to the court with a defendant already named. Almost any type of bad act can be brought to court as a personal injury claim; however, there are times when criminal charges are brought forward as part of the claim, too. It's important to note that contractual breaches are not handled as personal injury claims -- instead, they are handled according to contract law. Once a case has been filed with the court, a lawyer will explain how the defendant breached a legal duty. There are many ways in which this can take place, so it's imperative that a competent lawyer be able to clearly show how the legal duty was breached. If enough evidence is not brought forward, the case may be dismissed, or a lower amount of compensation may be all that is attainable. If a defendant in a personal injury claim wants to have the case settled without going through an actual lawsuit, there are ways to achieve a settlement. A settlement can only take place if the plaintiff agrees to it, and in most cases, the plaintiff must agree that in accordance to the settlement agreement, no further legal action can be taken against the defendant for the claim, meaning the plaintiff can't turn around and sue the defendant or bring a lawsuit against them for matters related to the injury being compensated for. Is It Best to have a Personal Injury Case Settled before Trial? The exact details of your case will help determine whether or not it's best to have the case settled before or after being brought in front of a jury. Most times, if the defendant is willing to settle before the case goes in front of a jury, then defendants will agree to a settlement because they won't have to go through the often long-drawn-out process of having the case reviewed and settled by a jury. 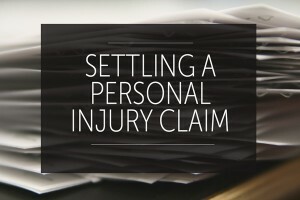 In some incidences, though, a defendant will no be willing to offer any type of settlement until a jury finds them liable for the personal injury claim. When this happens, a plaintiff will usually demand the maximum amount of money legally due to them for compensation. If the jury finds the defendant liable, they are often mandated by a court order to pay the maximum amount. If you would like to learn more about how personal injury claims are handled, including how a defendant can assume or be found liable, please contact a reputable personal injury claim attorney in your area today.